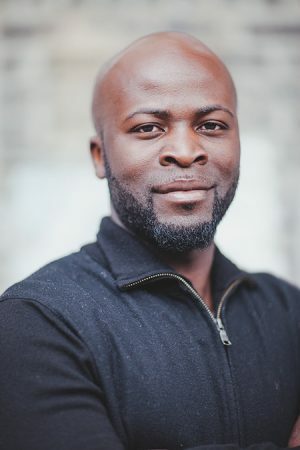 OSWEGO — Author and sociologist Dr. Joseph Ewoodzie will discuss “Getting Something to Eat in Jackson and Other Stories of Our Social World” in an “I Am Oz” Diversity Speakers Series presentation at 6:30 p.m. March 28, at the Marano Campus Center auditorium (Room 132) at SUNY Oswego. The talk is free and open to the public, with doors opening at 6 p.m.
Ewoodzie is an assistant professor of sociology at Davidson College in North Carolina. He will give a wide-ranging talk that includes topics such as food choice and availability in African American communities to how marginalized communities interact with the world. SUNY Oswego’s “I Am Oz” Diversity Speaker Series began in 2014 as a way to create awareness of the many perspectives, experiences and issues that impact communities. For more information about this presentation or the “I Am Oz” series, email [email protected] or call 315-312-5483.